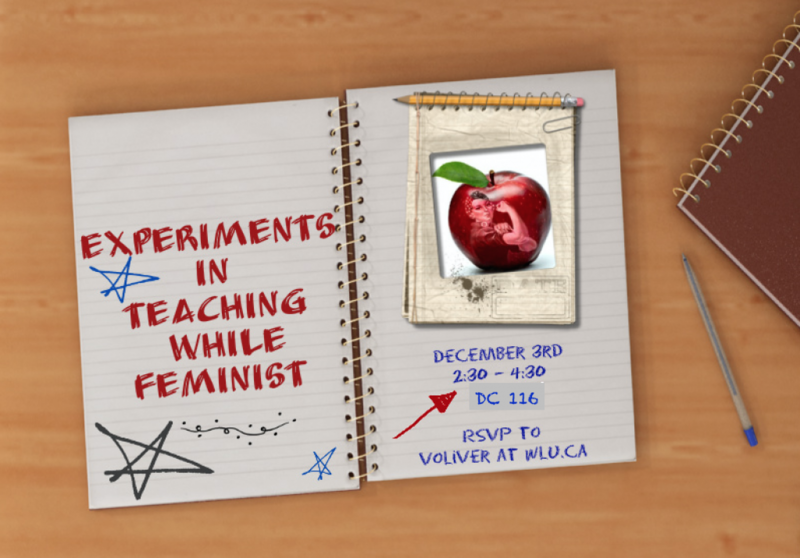 Following on the heels of last year’s successful end of term venting/strategizing/solidarity session, I invite you to attend this year’s teaching-related session entitled: “Experiments in Teaching While Feminist.” This session will provide an opportunity to talk about the challenges of teaching as a feminist, teaching feminist content, or even identifying as a woman who teaches. I’m hoping we can populate of list of tactics that each of us uses to resist these challenges, to engage in self-care, and to support students in learning about gender. Plus, free lunch. RSVP.